There are plenty of reasons to sell your unwanted stuff. You might be moving into a tiny home or moving on after a nasty breakup — or you might just want to purge after reading that copy of “The Life-Changing Magic of Tidying Up” your mom sent after her visit last month (subtle). Or maybe you really just need to make extra cash this week. Whatever your motivation for selling all the weird stuff lurking in the back of your closet, you’re going to want to make as much money as you possibly can off each item (because who doesn’t like money?). That’s right — in the same way that there’s a best time to buy, there’s also a best time to sell your unwanted or unused stuff. An item that sells for pennies in the springtime may sell for $10 in November. If you can wait a few months to get rid of something, you’ll make a significantly bigger chunk of change at the time when the demand is highest. If you’re not dying to get rid of something, try hanging onto it for a few months, so you can sell it when the time is right. The general rule of thumb is to list an item a month or two before it’s seasonally necessary — although there are a few exceptions. To help you figure out when to sell, the folks over at OfferUp gave us some insider intel on the best times to list all your unwanted stuff — and we’ve added a few of our own to the pot, as well! New Year’s resolution: Make money. Textbooks are in high demand twice a year, at the beginning of each school semester. Sell your old textbooks in early January to make sure you get the most bucks for your books. February isn’t a very good month for selling, but there are a couple of thematic items that are actually in high demand as last minute gifts. Obviously we’re not talking about previously worn pieces, but if you have some gifted sets with the tags still on that you’ll never wear, now is the time to sell! March on over to the bank with fistfuls of cash. While full-blown wedding season isn’t until June, March is a good time to start listing everything wedding related, from old bridesmaid dresses to leftover table centerpieces. These will continue to sell through June, but you’ll want to capitalize on the fact that people plan weddings, so they’ll be buying a little early. As the last of the winter chill lingers, people get restless and start dreaming about shopping around for shorts, tanks and swimsuits. Now is the time to start listing warm weather clothes! Spring cleaning can mean extra cash in your pockets! People start to search for prom dresses online during the month of April, as most proms take place toward the end of May and beginning of June. List them now to give your old dresses a life beyond the dark recesses of your closet! At this point, people are ready to get outside and get moving. 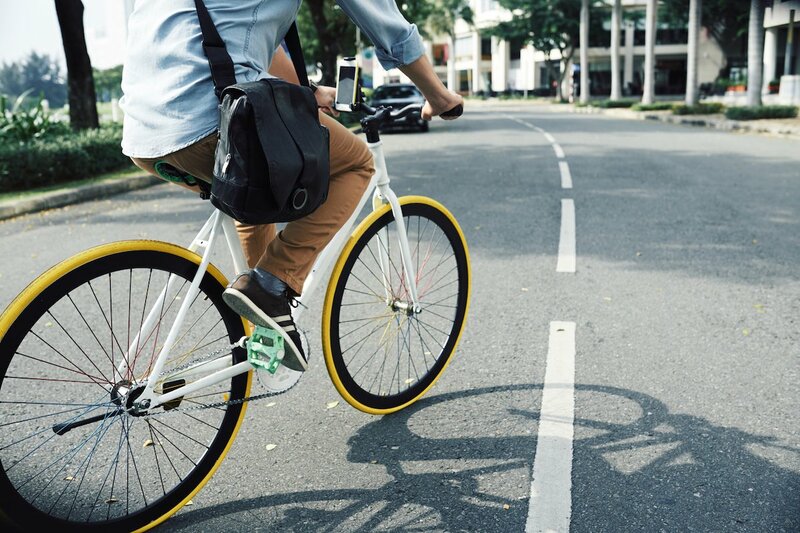 Now is the best time of year to sell a bike, as the weather warms up and biking to work actually sounds like a pleasant experience to some people. If you have any workout gear that didn’t sell (or if you were on of those people who had the best intentions and actually bought some for yourself) back in January, now is your second chance to sell anything you may still have on hand. In the spring, people are suddenly hyper-aware that swimsuit season is coming up, which means workout gear and clothing are in high demand once again. Everything is growing — including your wallet. Got extra luggage sitting around that needs a new adventure buddy? Now is a good time to list it as people are planning their summer vacations. Along the same lines, May is also the best time to sell various other vacation items such as plug adapters (for international travel), beach toys or camping gear. There’s no Summer Break when it comes to earning money! As we head into the summer months, people will be looking for outdoor fun — things like lawn chairs, water toys and swimsuits will sell well in June! Your bank account is looking hot (just like this weather)! More babies are born in July and August than any other months of the year, so it makes sense that people are looking for baby gear, like strollers and cribs. The exception to this rule is baby clothes. Because babies grow so quickly and often unpredictably, baby clothes sell better in the season they are most current. No parent wants to buy a snowsuit in June only to find that by December, their kid has outpaced the growth charts. Anything school or dorm related will sell well now as people start to think about back-to-school shopping. List dorm accessories, backpacks, kids school clothing and anything else that you regularly see on those “back-to-school” lists. Back to school, back to earning that cash! Again, textbooks will sell well at the beginning of the semester after college students have signed up for all their classes. Time to start storing up those pennies for winter. Moving season begins as early as May and peaks in September before dropping off dramatically in the fall. In September, people are looking for furniture, home decor, and small kitchen appliances and tools to outfit their new digs. Also in September, people start planning their Halloween costumes and parties. List these things now to take advantage of the planners! Scary Halloween costume idea: An empty wallet. The temperature is dropping, so now is the time to sell your jeans, sweaters, jackets and boots. Kids snow gear, including snowsuits, boots, hats and gloves, will also start to sell and will peak into the winter months. There’s a lot to be thankful for — including the extra cash you’ll be making this month! List decorations for the winter holidays at the beginning of November. The minute the Halloween decorations come down, people are anxious to start spreading that holiday cheer. If you have toys still in the packaging, clothes with the tags on (especially big brands), unopened cosmetics and gently used electronics, list them in November when people are starting their holiday shopping. Empty storage closet = full wallet. Jewelry also sells well in December (especially engagement rings, if you happen to have one that’s no longer in use). You can also sell your used jewelry directly to a site like I Do, Now I Don’t if you’re looking to make some extra cash to get you through the holiday season. There are a few exceptions to this list, however. Some items sell well during multiple seasons (or even year ‘round!) and some will sell better with a little strategic thinking. Sports cars and convertibles will sell better (and possibly for a bit more money) in the sunny spring and early summer months. Trucks and SUVs (especially those with four-wheel drive) will sell better in the icy fall and winter months. Large appliances like refrigerators, stoves and washing machines will sell well throughout the year. Appliances break all the time, and no one is waiting for a certain time of year to purchase a replacement dishwasher! For seasonal “toys” like skis, kayaks, roller blades and golf clubs (or any other items with only a brief annual window of enjoyment), list them for sale one to two months before the season begins. You can sell your video games and movies to Decluttr to make a few bucks any time of year, but if you want to try selling your video games and DVDs directly, try to list them strategically for sale one to two months before a movie’s sequel premieres or the newest version of a game hits shelves. People will want to catch up on the last installment before getting their hands on the newest movie or game. For all the smaller seasonal and holiday items, like Easter baskets or Fourth of July decorations, begin listing them four to six weeks ahead of time. Now that you know the right time to sell everything from snow suits to golf clubs, you can start getting rid of that extra junk that’s just taking up space in your home. Stick to the schedule, save the cash and who knows — after a year you could be well on your way to saving your first $1,000!